I‘m just an obnoxious guy who can make it appear charming, that’s what they pay me to do. 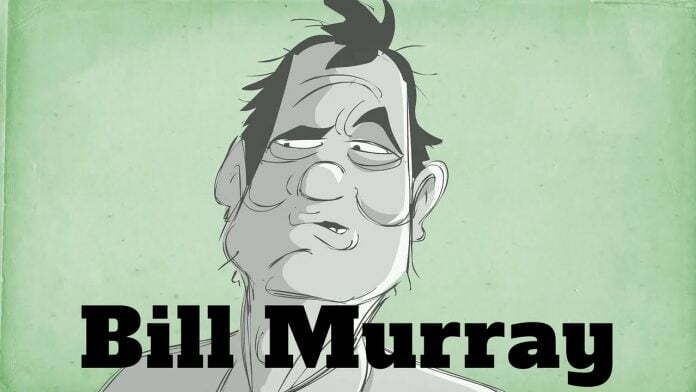 T.J. English was tasked with writing a profile of Bill Murray for Irish America magazine. This was around the time Scrooged came out. So he headed out to Murray’s house in New Jersey. The guys sat down and the tape recorder was turned on. Murray’s dog ran about and wrecked a little havoc. Murray cracked wise on giving back to his mom when he made it big, hijinks on the set of Ghostbusters, the spiritual change that saved him from destruction, and how fame sort of helps with talking to women. I act like a jerk sometimes, and that’s sort of what the product is. You get these people who act like, “what the hell.” When you act obnoxious towards people, like on a movie set, they say “we’re ready for you” and I say “oh, go to hell, my feet hurt and my head aches.” You want to have a margarita for lunch, and people like these little ADs and production assistants are like, “Well, he’s drinking again.” Drinking again? Go to hell. All I ever do is make some movies that made a lot of money now leave me alone, I want to have some fun. On Ghostbusters they had somebody following us. Following us. You walk down the street, you turn around and somebody would duck into a doorway. Just to control us and make sure we didn’t do anything too weird. It’s like, “What the hell.” I didn’t get into this position by being like a stiff sitting on the set in a folding chair. I did it by walking around on the streets and stirring things up.